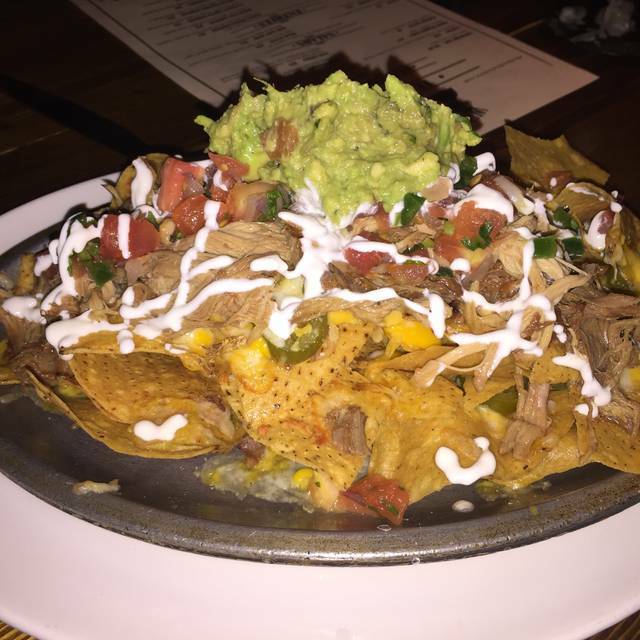 Late Night Kitchen: Sunday - Thursday until midnight and Friday & Saturday until 1am. 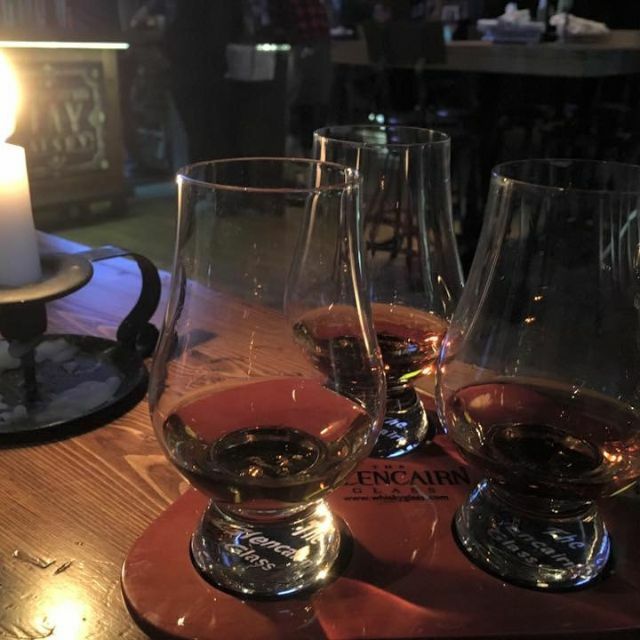 Whiskey Thief Tavern is a home away from home. A unique space featuring a cocktail bar with restaurant serving exquisite drinks, amazing food, and bar bites in contemporary, unique, and vintage style. Our focus lies on providing incredible experiences, using classic and innovative culinary & mixology techniques, stunning presentation and serving vessels, all designed and served in a fashion that will continually "wow" you. But above all, we believe in having fun.......don't you? Check out additional details for our weekly specials! Rhone Blend, Gassier, "Nostre Pais"
Garnacha, Carinena, Buil & Gine, "Gine Gine"
My husband and I love coming here for dinner and drinks. For dinner and drinks, I would give 4 stars across the board. But, this time we went for brunch with our kids. We were excited to try brunch here and enticed because kids eat free on Sundays. Although kids eat free, they don't drink free and kids drinks were overpriced in my opinion. Also, my husband did not care for his omelet and wished it would have come with toast and potatoes instead of only potatoes. My avocado toast was good, but not worth the price IMO. It would have been nice for the avocado toast to come with a side of potatoes or fruit instead of just the toast. I think the biggest turn off was the service. I had to ask for a refill of coffee when mine was practically empty and we had to wave down our waitress for our check after waiting awhile. Other servers seemed more attentive so it may have just been ours. We will be back for dinner and drinks but probably not for brunch. Convenient location for all. Close to Metra and CTA. The drinks were outstanding. We will be back. Food was delicious. Staff was very friendly and the hostess was able to accommodate our request to switch tables. Good mixed drinks and food. Very loud place. We had a group dinner of 8 people and you could barely hear each other over the background noise. Whiskey Thief is our”go to” place. The menu is varied. The food is nicely cooked. The staff is friendly. 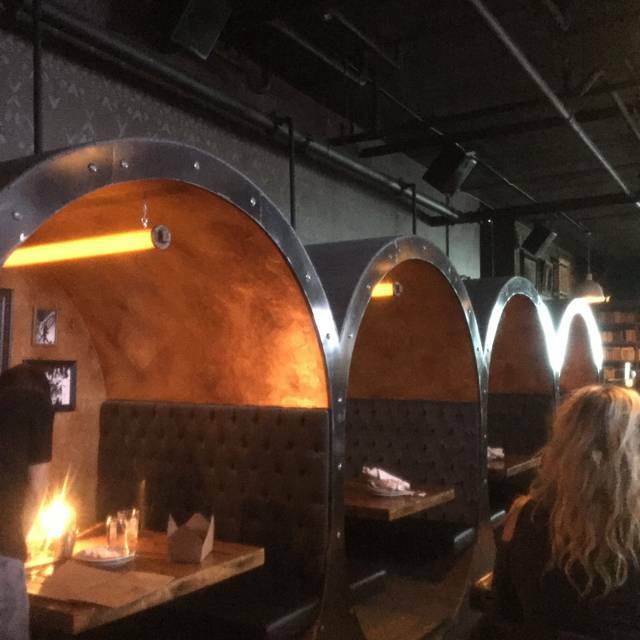 And we love the cozy barrel-vaulted booths. Fun seeing the games there. We had a great waiter who was really attentive. Lots of fun. Cozy & fun. Very good food. Even better on weeknights. This was the first time there. We were pleasantly surprised by the ambience. We got a booth which is like a private area. We were able to see the NCAA games, but still had a very quiet area to have conversations with our friends. The meals were all great. The hanger steak and brussel sprouts were excellent. Their specialty Mule drink was very good. They did not have Bacardi rum.. they only had one brand which was not a good one, however. They honored our reservation and we did not have to wait at all to get to a table. The wait staff was very attentive and good. Prices were reasonable. We plan on going there again. Great drinks, service and food. Was loud for our group of 5 to chat. My food order was incorrect, the waiters response “people make mistakes”. Place was a bit busy. Food good. A lot of drink option. Had to wait to get more water. This is a restaurant that has been cleverly built-out. There are booths around the edges and interesting hightops between the central bar and the surrounding boots. This however is unfortunately the highlight of this restaurant. I asked for Gray Goose vodka on the rocks, and was presented with the smallest cocktail ever seen in my life and had the pleasure of paying $11 for such. I was jaw dropped. It is hard to describe how small this drink was. The food menu is somewhat limited, but in a way this is good. I ordered a burger and it did arrive it was as advertised. However, the french fries were completely cold and the burger was only warm. One has to assume that it had been sitting on the delivery counter for some time. The service was interesting. It appeared for the entire restaurant there was a single waitress. While I'm in my 60s, my wife in her 50s and my mother-in-law in her 80s... She was simply shouting at us all the time as if we were deaf and stupid. I can assure you I/We are neither. She would take in order and then just disappear and then I'll show up as if she was the cats-meow. But in the meantime we would simply wait. Now I know this is not McDonald's, but there is a reasonable waiting period and one that's unreasonable. It is definitely more suited to the 18- to 25-year olds but it is not for everyone. For someone who's been to nearly every reasonable (not fast foot or discount noodles) restaurant in the Northshore, this has to be closer to the very bottom of the range. Poor service, cheapest pour on the Northshore for booze, average to maybe below average food. It is an establishment I would never recommend in an million years unless you're in the recommended age group and have some decent ID. It's a shame, I believe they spent quite a lot of money on the buildout of the interior, but they'll never hit their third anniversary unless they make significant structural changes to the way they operate as a restaurant. Great ambiance in a cool speak easy style setting. Loved the private booth, delicious cocktails and huge burgers! Second time I’ve been here with the same friend. Love the whiskey bar concept and the decor. The menu is interesting, more choices than bar food, and we like the crab deviled eggs. Really appreciated getting the booth this time for conversation, and not being chased out after dinner while we talked for a good while more. Will definitely be back. Love the place. Good food. Very good beer and whiskey selection. Staff are friendly. Would definitely recommend to my friends. I'm not sure who rated Whiskey Thief as "quiet for conversations", but they weren't there on a Saturday night. The layout of the restaurant is lovely and the booths would have made an ideal setting to have conversation if one was not shouting over the music on top of the full house. Food was tasty, service was appropriate, but we were sad to come in and realize that what we had hoped was a nice place to chat with our friends would be a challenge to hear and be heard. If a loud noise level is not important to you, then you should enjoy. Consistent pub fare. Had bison burger, cooked to my liking.started with 1/2 &1/2 wings. Both were good and crispy. The whiskey bbq ones were our favorite. Had the maple old fashion to drink. I am normally not a maple fan but stepped out of my comfort zone. The drink rim was delicious and complimented the maple. Very enjoyable. Great, but Really Loud on Weekends! Love the food and the ambience. But don't go on a weekend unless you want to yell to be heard. Great food, outstanding service, far too loud. Hands down one of the best nights out I’ve had in s long time. Waitress was amazing! Food was amazing! Can’t wait to go back! This was a very pleasant surprise. The bugers were outstanding. We ckeabed our plates. Good food, fun ambiance, decent drinks (too much ice which I pulled out) sub-par service. We went here for my husbands birthday and Valentines Day- food was outstanding but the service was terrible. The server barely paid any attention to us. We would have stayed for dessert and another drink, but he never even offered. I’d go back, but I’d hope to sit in a different section! The ambiance is very cool, too. 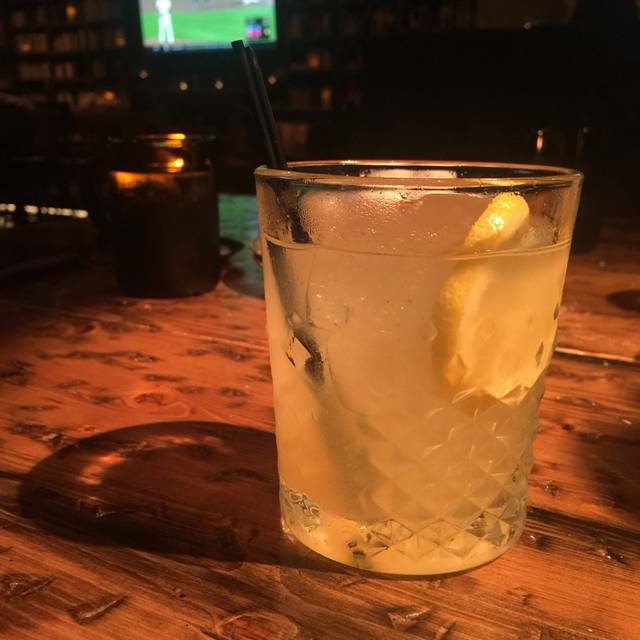 What a fun place: interesting theme (The Prohibition), innovative and delicious menu items and really stimulating environment (great decor, old movies on several screens; a beautiful bar odd, enclosed booths; Whiskey Thief is one of our new favorites! Worst service ever, we were not attended til 25 minutes after we sat down. We absolutely LOVED brunch at Whiskey Thief Tavern. The food was incredible and the atmosphere was the perfect start to our weekend. Extremely friendly staff as well! The food was very good and prepared as requested. My husband and I enjoyed every bite or our burger and grilled chicken sandwich. The service was attentive but not overwhelming. We were there on a quiet Sunday afternoon, so noise was not an issue at all. I have been here a few times, I love the ambiance. Came here for dinner and felt like we were an after thought. The bacon wrapped dates were cold, but sauce very hot- dinner was lukewarm. Server never came by to even ask how either of those were. Actually he came by and said “are you ready to order?” No introduction, no asking if we been there before, or any questions even. I enjoyed service and food several times in the past, but this truly will be the last time, it’s just not how it used to be. Too many other great restaurants in the area to be mediocre and paying that price. Too bad. Thief burger was great and one of the best burgers I’ve ever had. Drink menu is deep with good old fashion selection. Poutine fries were great and the food does not wow you but everything is done well. 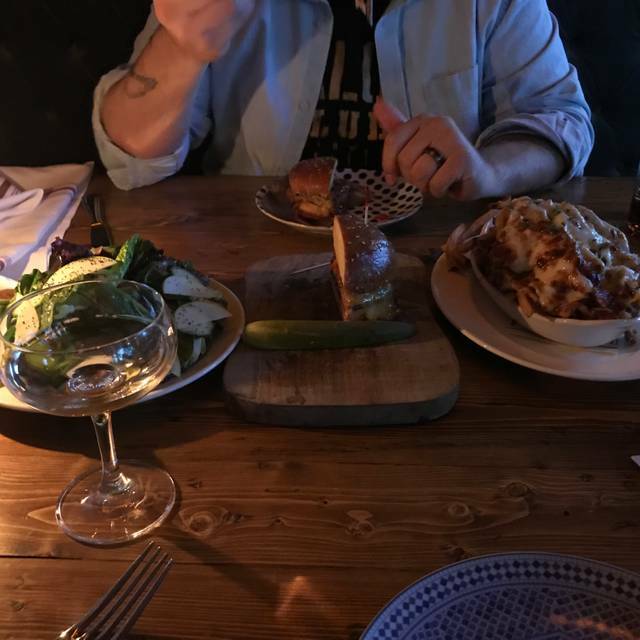 If your stuck in the burbs versus the city its a nice spot for a date night for couples. Whisky Thief caters to people watching sports. The menu is limited and it's hit or miss on flavor. The burger comes with lots of great toppings but the meat is thin and overcooked. The entrees are uninspired, featuring the ever present plates of chicken and pastas with frozen seafood. The appetizers sound better than they taste, with the poutine being most disappointing. Just a plate of mild cheese over fries. I could have overlooked a lot of this if the service was better. The walls are covered with TVs so they should anticipate a crowd on game nights. But even with the place only 3/4 full, we were flagging down waitstaff when our appetizers were served long before our drinks. There's simply too few people on the floor waiting on customers. The only thing Whiskey Thief has going for it is the cute room, otherwise, it's unmemorable and I will not be going back. Little to dark but food was amazing! We enjoyed our first visit to the Whisky Thief for the Bears playoff game. Plenty of TVs throughout the space and they did put the sound on for the game. 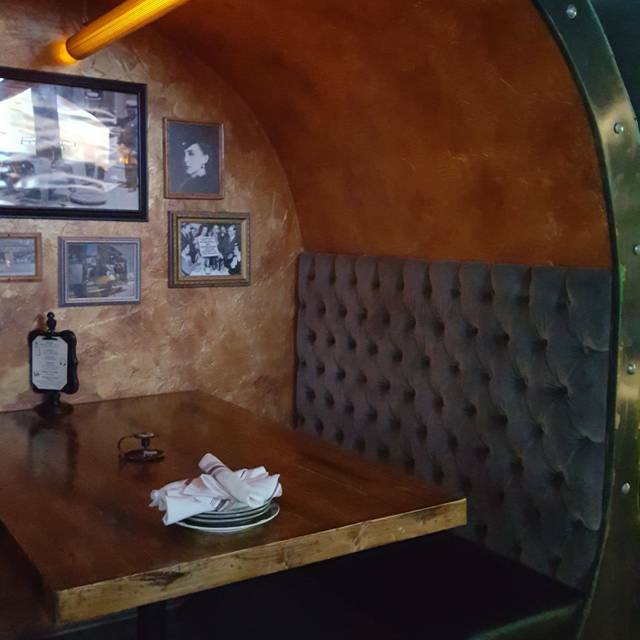 We had one of the cozy barrel booths and were very comfortable. The restaurant is a little dark, but has a cool ambiance. Service was great and food was absolutely outstanding! 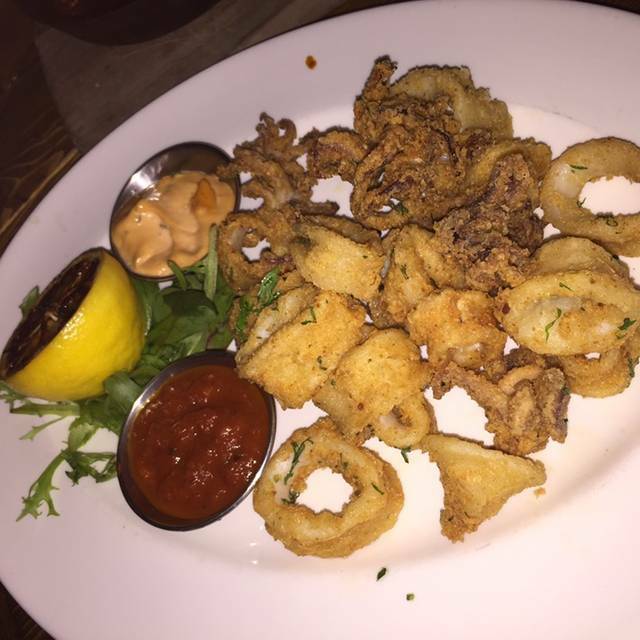 Our group enjoyed bacon-wrapped dates, nachos and calamari to start. Then we had some of the best burgers we have ever had!! Can’t stop thinking about them! Looking forward to dining there again soon. Everyone from the minute we entered was extremely nice! My only issue was there was a little too much in the pork department for my liking! The hostess was great. She went out of her way to get us a booth. The food has really improved since they opened (we went in the first month) and the bar has a great selection. Fun time.